We provide Factory Direct Cartridges to you the END USER. 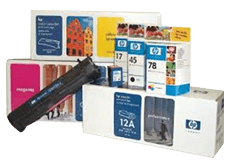 Supply Original cartridges, generic cartridges, hardware, media and stationery too. 100% Money Back Guarantee. reasonable prices and exceptional customer service, contact us. © Copyright TONER IMAGES. All Rights Reserved. Website designed and hosted by LIT Creations.